Today I'm reviewing my second knitting book - if you read the first one, Knitting Know-How, you will know that I was given the books in return for writing reviews. It's not edited though, these are my real opinions. Enough of the small print! 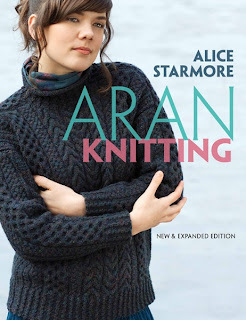 Today's book is Aran Knitting, by Alice Starmore. It's an updated version of the book she wrote 15 years earlier and is far more than "just" a book of Aran patterns. I'm getting ahead of myself - do you know what Aran knitting is? I thought I did! 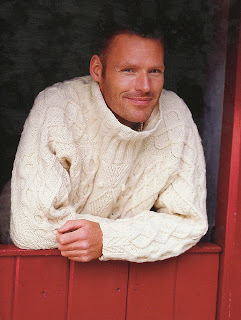 My mum knitted an aran sweater for me about 40 years ago. It was cream, thick, and on the front there was a central pattern of diamond motifs with cables down each side. 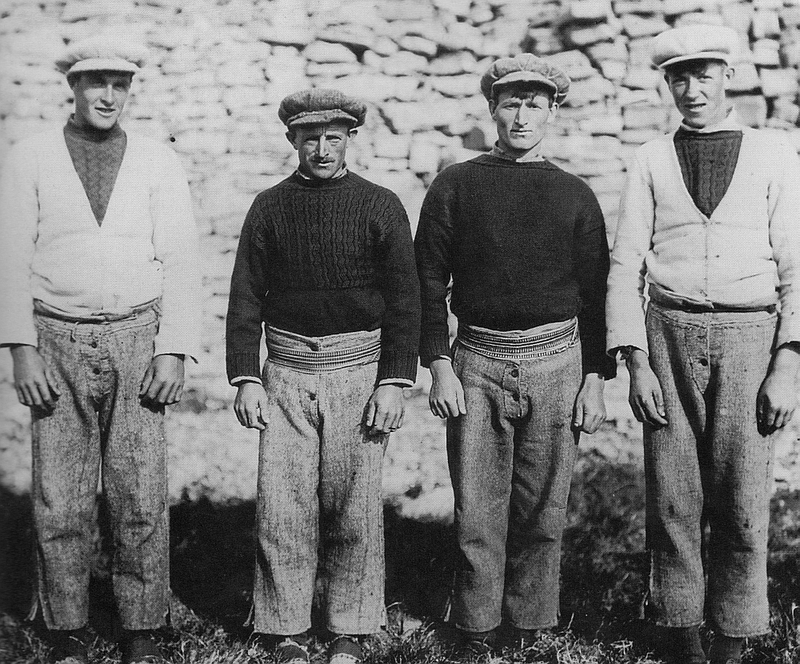 I was told it was a traditional design of fishermen's sweaters that dated back to ancient times. Having read this book I now know I was misinformed! The first 50 pages are devoted to historical background, including photos of genuine early Aran sweaters, museum pieces, and show that the patterns are considerably less ancient than had been supposed. For me, this was the most interesting part of the book. I could picture the early knitters Alice imagines sitting in church staring at the sweater of the lady in the pew in front, learning the pattern by heart so that it could be reknitted later. This is close to my own way of working, I like to stare at animals or pictures and gradually the pattern takes shape in my head. I wish it could be automatically transferred to paper! If you're more interested in knitting Aran designs Alice explains how to knit from charts and shares many pattern elements. She shows that Aran designs are not rigid, but suggests taking the elements you like and making them into your own. There are 15 complete patterns for you to knit for your own use - like most commercial patterns these are not licensed for resale. Some of the designs are quite delicate, not at all the chunky sweater I remember from my teens. I'd love to wear them - but knitting big projects is not for me, not at the moment anyway. Alice's website sells her own recommended yarns with free international shipping on orders over £25 so if anyone fancies making "Eala Bhan" (shown below) for me (and paying for the yarn!) I'd be more than happy to wear it! Is it acceptable to knit them in black then? :) I had a big cream one in my pre-goth days, was amazingly warm. Yup, thick and warm and cream is how they started out it seems - but now anything goes. Not floaty enough for you Grin! Oooo I love these sweaters..so cozy!! Thank you for the review! !